Seeing as we're all well and truly into the new year, I've decided to give my blog a bit of a facelift - I've recently updated my 'Clue Me In!' and my 'Eat Out' pages. Clue Me In is shaping up to be more of a resource page and a little more informative. 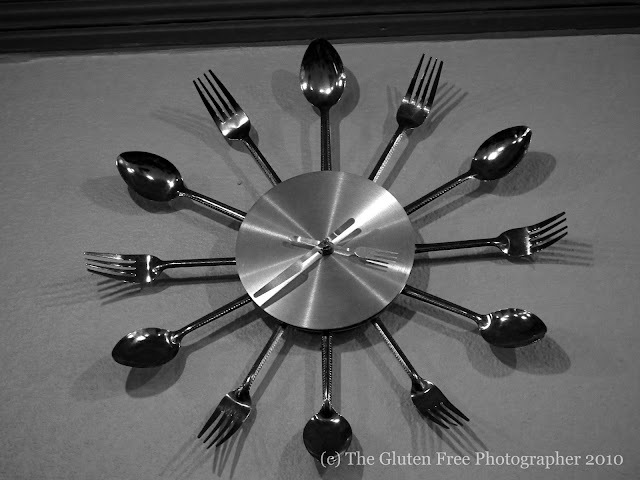 I've added two new links that I feel are valuable to people living on a gluten free diet. There have been a few more additions to my Eat Out page and I've also added a map to correspond with the entries, so you can find their location a little easier. I've been lucky enough to have been to all the restaurants/cafés I've put up and am hoping that this will become quite a comprehensive list of places that are genuinely of a high standard to eat at for the gluten free foodie. Over the next few weeks I am going to revise my 'Off The Shelf' page to include all the reliable gluten free products that are on the shelves at the moment, as well as a list of gluten free beers and their stockists - an off-licence aisle, so to speak! You may have noticed a new page went up last month, 'My Gluten Free Mission' - basically it does exactly what it says on the tin. It outlines what I want this blog to ultimately become. As always, I welcome any and all feedback. If you are aware of a great online source for living a gluten free diet, let me know. I'd love to know if there are other Irish coeliac bloggers out there or of other restaurants/cafés/bakeries that are of exceptional standard that should be included in the Eat Out page. So if you know, or know someone who can contribute, feel free to get in touch!